Jamie Dean, band leader of the popular bluegrass band Cumberland River, has announced the group is disbanding effective immediately. Harlan, Kentucky native Dean and his family recently relocated to Florida due to his new full-time non-music job and has plans to release a solo album in the near future. Band members Dustin Middleton and Jamie Stewart, also from Harlan, along with Brad Gulley and Gary Robinson Jr. will go their separate ways in their music careers, but will certainly always remain lifelong friends. Cumberland River’s popularity grew dramatically when they gained national attention when eight of their original songs were featured on numerous episodes of the hit FX Network’s TV show, Justified staring Timothy Olyphant. In 2013, the album Justified: Music From the Original Television Series was released on Madison Gate Records that included Cumberland River’s original song, Justified. 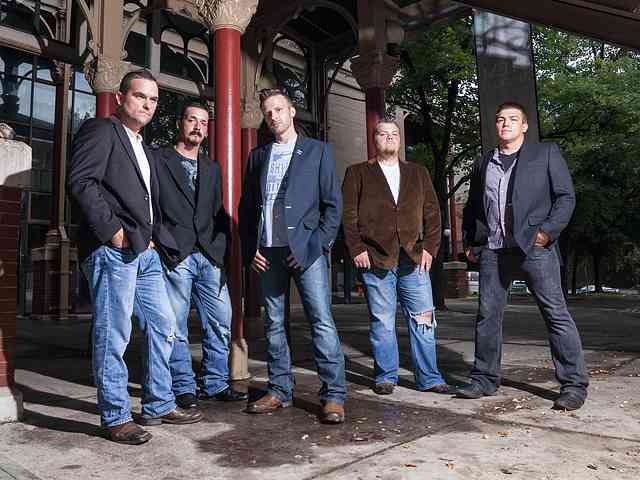 The band received a 2013 IBMA Momentum Award nomination, and has two albums to their credit – the self-released Rock Island Express and The Life We Live on Rural Rhythm Records.